The debate over the American Law Institute’s (ALI) still ongoing Restatement of the Law: Liability Insurance (RLLI) project the mythical struggles of Sisyphus. Since 2015, when ALI—in unprecedented fashion—shifted the venture from an aspirational “Principles Project” to a Restatement, stakeholders and a growing number of third parties concerned with the project’s direction have been pushing the proverbial rock up the hill. Throughout the drafting process, concerns have been consistently raised that multiple RLLI sections either depart from settled insurance-liability principles or establish entirely new rules. Each time, the RLLI’s Reporters issued a new draft that was nearly identical to the last. When last we addressed the American Law Institute’s (ALI) proposed Restatement, Law of Liability Insurance, we reported that the organization decided at its May annual meeting to table final consideration of the document until 2018. One of the proposal’s chief Reporters, Professor Tom Baker, indicated that he and co-Reporter Kyle Logue would embark on a year-long listening tour and consider what they heard when looking anew at the Restatement draft. It is quite curious then, considering Professor Baker’s statement as well as ALI’s declaration that the draft needed “another year of work,” that on August 4, the institute released Preliminary Draft No. 4—a mere 10 weeks after tabling Draft No. 3 at its meeting. Even more remarkable are the fundamental similarities between the draft tabled on May 23 and the one released on August 4. Will the American Law Institute “Restate” or Try to Rewrite U.S. 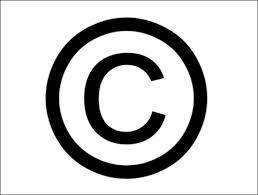 Copyright Law?